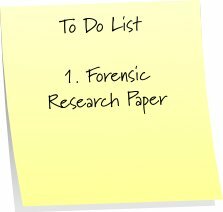 I have to write a 6 page research paper on forensics and I was just wondering if anyone has any useful or interesting information that I could use. I have to include things like when and where did it originate, how has it changed over time, what is its importance etc. Thank you.